In my work as a brand consultant, I work with “resources”; printers, graphic designers, film makers, web developers, et al. All independent business owners and freelancers that I trust and whose taste levels are on par with mine. I appreciate their hard work and dedication as they too continue their entrepreneurial pursuits. They are in fact my role models. The school year has started and business is picking up. What I’ve found, as I work with my vendors, is that we’re starting to think about our client/vendor relationship in different ways. We have begun to start referring our clients to each other with nothing to gain EXCEPT a broadening of our service capabilities. I’ve always said “Everyone has a Client”. What this means is that as human beings; even outside of being entrepreneurs, we all have people or organizations that we “serve”. I can’t think of one person that doesn’t “work” for someone else. 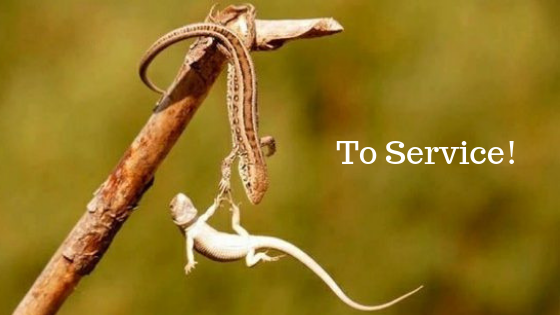 We all live in service of others and my connection to businesses that provide ancillary services for my clients, is something that I cherish. They make me look good! So here’s to service! May we all enjoy what we do! Older Post Clients that really "get it"